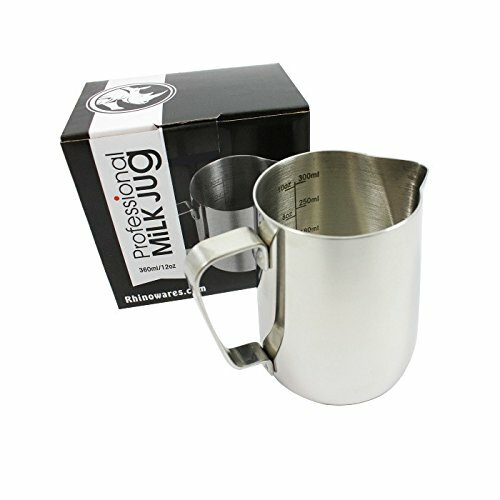 Professional feel stainless milk pitcher. Heavy weight perfect for texturing milk. Measurements etched on either side to avoid wasting product. Milk pitchers that last from Rhinowares.